This year, Pi Day falls on Saturday, March 14 (3.14….get it?!). We’ll be celebrating a day early, on Friday, March 13th. 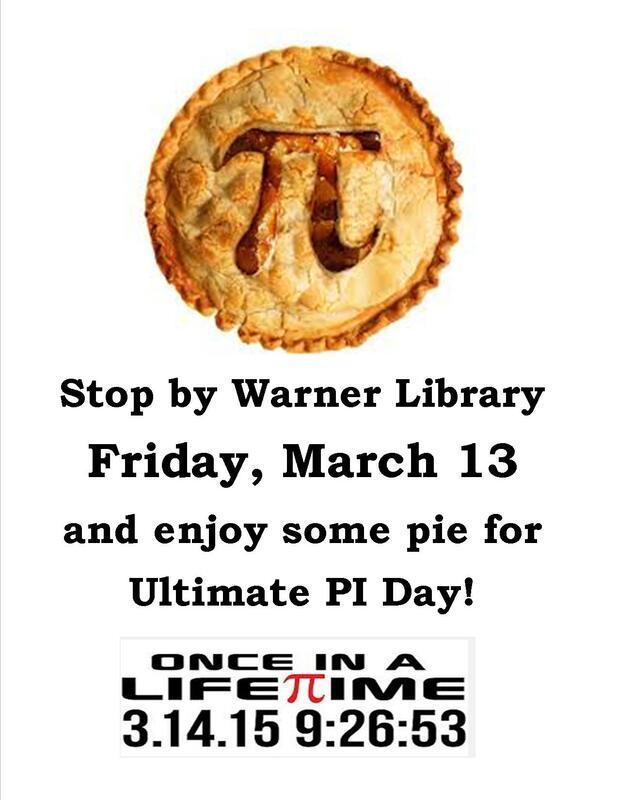 Stop by Warner Library and pick up a free mini Entenmann’s pie while our supplies last! A little history about Pi….